There are eight key installation practices that will make residential rooftop solar systems more reliable -- and help to avoid potentially expensive repair costs. 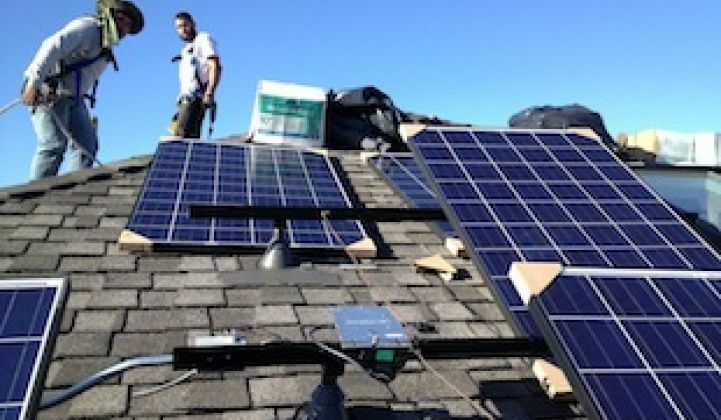 “If a million systems are installed and these roofs leak because of incorrect components or poor installation practices, we as an industry could be looking at a half a billion dollars of potential liability (estimating $500 leak repair costs per roof),” according to a new white paper jointly released by installer Cinnamon Solar, Solar Marketing Group, and mounting system specialists Quick Mount PV, HatiCon Solar and Orion Solar Racking. Based on a review of twenty systems that have been in service for an average of ten years, the white paper "Solar Panels Last 25 Years -- But Will They Stay Safely Attached to Your Roof? The Importance of Reliable Solar Mounting Systems" describes key reliability-enhancing, cost-saving opportunities in the design of the mounting system, the attachment of the system to the roof, and the wiring, grounding, and power electronics and installation. The most reliable systems in the review had three things in common: They followed best installation practices, used solar-specific components, and were installed by conscientious contractors. “The systems that were installed using proper mounting systems, flashed mounting points, wet-rated wiring and grounding components, and all stainless steel fasteners were still in very good shape,” the paper reports. The key to beating leaks is the use of “flashed” mounts that create a watertight seal around the perimeter of the fastener that attaches to the underlying rafter. Improperly sized or poorly designed flashings leak. Though it is also important to fix the mounting into the roof’s rafters, it is not uncommon for installers to miss them. But no leaks were found in the review where mounting points were properly flashed, even in cases where rafters were missed. No corrosion or structural failures were found in the review when the mounting systems used were specifically designed for solar. So why don't solar installers always use roof flashings, all stainless steel and aluminum solar mounting components, and properly sourced UL listed wiring devices? “Simple,” said Cinnamon Solar CEO and founder Barry Cinnamon. “Because doing it right may take a half a day longer and cost a few hundred dollars more." 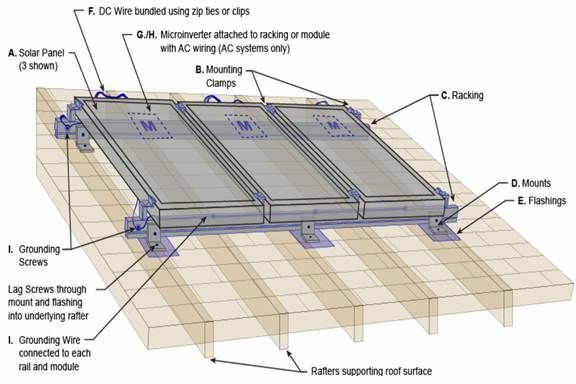 Rooftop solar installations already must meet Underwriters Laboratory standards for modules and mounting systems and National Electrical Code requirements for wiring and grounding. They also use standards including the International Building Code and the International Residential Code as models for flashings and waterproofing and meet all local jurisdiction permitting specifications. Two trends are expected to significantly advance reliability and cost-effectiveness: Safer power electronics and more factory-assembled or integrated systems. Safer inverter and circuitry power electronics can prevent the causes of shock hazards and potential fires. Pre-assembled, integrated modules and mounting systems reduce the potential of poor installation and component choices. Solar and electrical components must meet all standards, codes, and permitting requirements and be designed for wet and hot roof conditions. Roof attachments ​must ​be designed for the mounting system being used ​​and include flashings designed for th​at​ mount​ing​ ​system​. Use of the newest grounding components will maximize the system’s long-term integrity. Use of newly UL-listed power electronics such as microinverters, DC-DC converters, and string inverters will reduce arc faults that lead to shock and fire hazards. I​nstallers ​should be chosen ​that have a track record of quality work performed by well-trained crews and​ with the expectation that they will be able to ​honor applicable warranties.